The guns Charles Gordon ordered all have their quirks and odd features and are always very desirable nonetheless. Aside from sweater-clad Scotties heeling for old ladies or the famous painting of dogs in smoking jackets play-ing poker, I’ve seen few canines wearing clothes. For the dogs of my childhood, table scraps passed for nutrition and medical care consisted chiefly of tying a dog in the shade where he could rest and lick himself. Our dogs slept on straw in plywood houses, and I don’t remember ever seeing men bathing their dogs. Needless to say, we never shopped for dog parkas. It’s all a matter of time. The fact that you’re reading Shooting Sportsman tells me that you love wingshooting and fine shotguns and that you likely think a good bird hunt is the finest form of sport. However, good bird hunts typically depend on good gundogs, and creating good gundogs takes time—lots of time. There are basically four ways to get a quality gundog: Buy or breed a puppy and train it yourself, buy a puppy and send it to a trainer, buy a 10- to 18-month-old started dog and finish training it, or buy a finished dog that will be the envy of anyone lucky enough to hunt over it. Imagine you were given the opportunity to develop the ultimate kennel and gundog training facility without the limits imposed by money. How would you set up the kennels, grounds and training areas? What would your wish list encompass? For me, housing would be the first consideration. A dog should be lodged where it can stay warm and dry as well as sheltered from the heat and cold. An effective design to meet these objectives is an indoor/outdoor setup. My kennel building would include an inside fenced run with a doghouse. The fence would be seven feet high and the run area 5′ x 5′. The run would sit approximately 22 inches above the kennel floor on a platform made of an ABS flooring material with holes or spaces similar to a doormat. This platform would sit in and be supported by a stainless-steel bed frame with stainless-steel legs strong enough to allow a person to walk on the platform. The holes would allow wash water and urine to drain to a cement pad that would be pitched toward a trough along the outer wall of the building. The trough then would drain into a septic system. With multiple runs, each would be separated by a narrow corridor, allowing full access between them. Fire enough shots, and odds are youâ€™ll hit something sooner or later. The laws of probability would support that. Unfortunately. The point is to hit targets by design and not by accident. Recoil slowly but surely beats to death the shooting performance of most shotgunners. The â€œfree-flighted releaseâ€ of captive-reared mallards has been a contentious issue for some time. Product reviews of Mendota Products’ Skid Plate, Mud River’s Kennel Cover, Dawg Tired’s Premium Dog Beds and Cozy Winters’ Heated Dog Bowl Bird hunting is a spectacular sport, not a spectator sport. Doing it right means getting leg cramps and sore feet. It’s the only outdoor pursuit I know that demands protection from the 700 kinds of thorns, pickers and burs waiting to pierce and tear. A warm place to dry out after a day of sleet or snow is as close to nirvana as can be hoped for in this life. What could be better than a comfy bed to stretch out in and let those punished leg muscles stop twitching? Only then do the dreams about today’s coveys and tomorrow’s rises come. 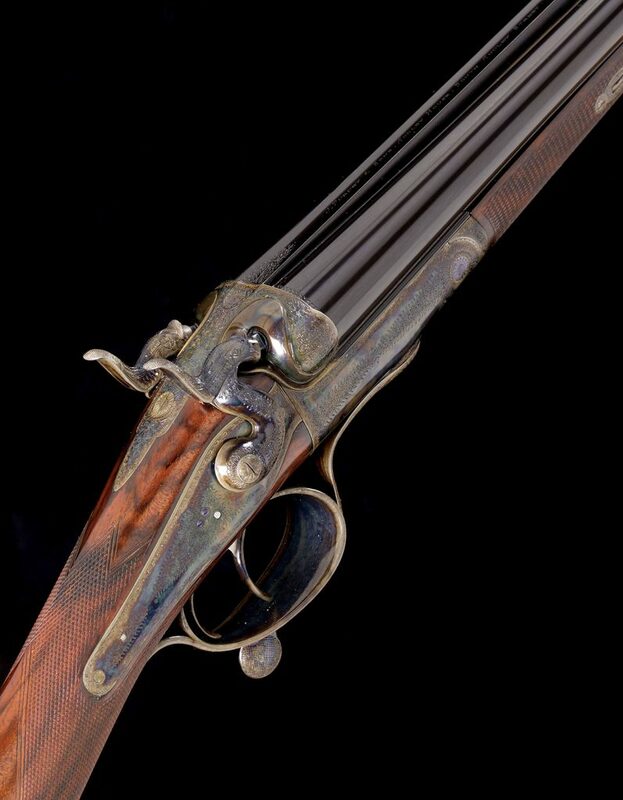 In 1884, when he came into his full inheritance, Gordon started collecting in earnest, ordering guns in profusion. Most were out-of-period muzzleloaders.